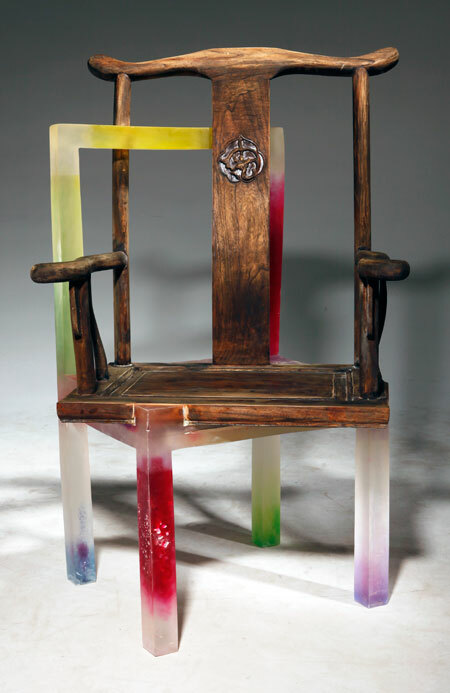 Gui Ying, "Freeze," wood and resin Chair. Traditional Chinese materials like lacquer and jade are given a contemporary twist in a special selling exhibition at Sotheby’s London . It's the first exhibit in the West of works by young Chinese designers, whose creations range from furniture and ceramics to fashion and photography. 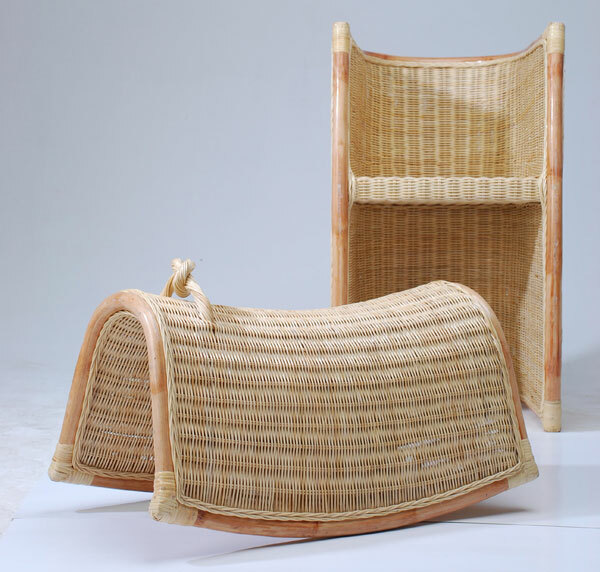 Curated by arts and crafts expert Janice Blackburn, “Unfolding Landscape,” which closes this week, features works that weave together contemporary design and traditional Chinese themes and materials. 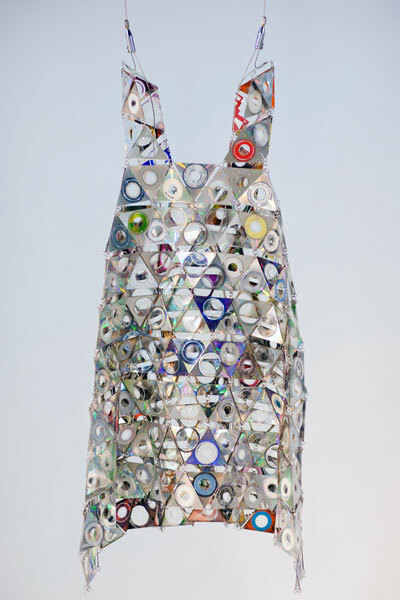 On view, for example, is Gui Ying's sleek resin furniture embellished with original Qing Dynasty wood carvings, Gao Rongguo’s moving photos of twins, and Kong Fan Fan’s artful My Recycling , a dress constructed from CDs and their covers. Altogether, 20 young designers are represented, including seven furniture makers, six photographers, and one ceramicist. The designers are all recent graduates of the state-run China Central Academy of Fine Arts in Beijing, a leading Chinese art school. Prices for the works range from the Qin Xue and Hu Keren acrylic table for £7,850 ($12538.80) to photographs, priced from £750 ($1197.97) to £2,000 ($3194.60).